Coming back to New York City in my older years, 33, I come to have a greater appreciation for the fine craftsmen of custom jewelry. Especially rings and earrings. There’s something magnetic about a ring, albeit dangling from an earlobe, or surrounding one’s finger. The circle of life isn’t complete until it includes some platinum, silver, or gold. Walking down the 47th street, which many have rightfully deemed the ‘diamond district’, I am now amazed at the market that exists here in New York City. 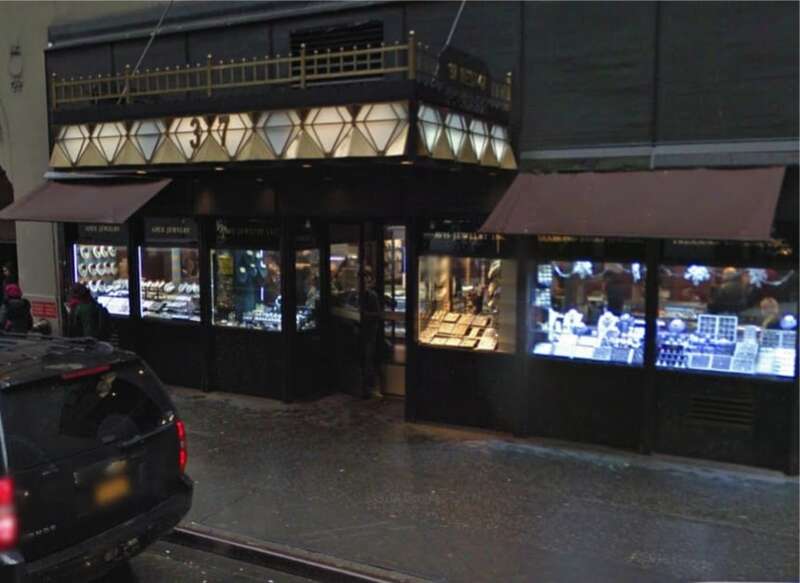 Before witnessing the Jewellery capital of one of the biggest city in the world, you’d still not expect to see this many jewelry stores in one area coexisting. Yet here it is, live and right in front of my eyes. The display cases out front, and as well behind storefront glass give the street a dazzling glitter in both moonlight and daylight. Amazing, truly. Katz Jewelry Company was one of the few that attracted me inside. 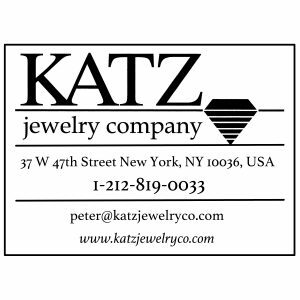 Just like I was browsing real life search engine results, this was the one to catch my eye and make me click – walk in – and see what Katz Jewelry Company was all about. At Katz Jewelry, there were many display cases to browse and imagine myself taking pleasure in purchasing their contents… At first visit, I didn’t intend on buying any jewelry or diamonds. This trip is strictly educational after all. Though, one compelling display case caught my attention as it contained a multitude of custom created, lab grown diamonds. Each custom diamond was a different size and different color. Likely to give me the idea that flexibility and customization were easy to do. Making my dream diamond very close to a reality. Boldly enough, I’ll admit that the lab grown diamonds caught me by surprise. It’s one thing I can say I never expected to find at any Jewelry store, even in the Big Apple (Do they still call it that? Why?). The fact that there are scientists – and beyond scientists – Businesses that are now able to custom create diamonds, that once were only among the rarest of commodities on the earth. Now of course the rarity will arrive through the specter of customization and uniqueness, supplanting the rarity of old. This is not a bad thing, it’s just funny how once something is able to be created, the features that make it high priced move from rarity to customization. I’m sure I’ll come to another example of this later on. Now that I have made mental notes to learn all there is to know about lab grown diamonds, it’s time to browse the wedding jewelry display case. Laced in lovely white satin (assumed material), I see a multitude of beautifully crafted wedding jewelry. Rings, pendents, earrings, and hairpins, there’s so many cool ways to configure silver and gold with jewels and diamonds. I think back on the ages, and see that time hasn’t much changed the art of selling great jewellery. One man discovers, and determines a value at which to sell the piece. A willing buyer adores the sparkle of the piece and a deal is made. A tale as old as time. Song as old as rhyme. I find myself comparing the custom rings in the display case to my own wedding ring. My current ring is pretty simple. I never needed it to be flashy. Upon the comparison, however, I feel that seed of doubt, and longing for something with sparkle and shine. I place blame on the lighting in the store. It makes everything so very elegant. 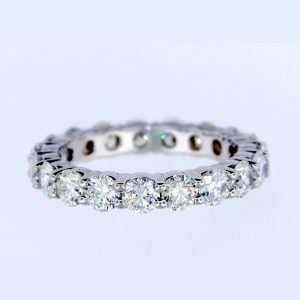 When the diamonds refract the pure white light into a rainbow shine of luminous beauty, you cannot help but envision such wealth of light gleaning from your finger. I know NYC has evolved over the years. Once it was common knowledge that you’d experience some slight discomfort from the locals. Nowadays I feel like everything is far more positive. As many modernizations of the city have led to overall increased happiness, even the shop keepers can reflect this positive grace towards the patrons of their stores. I can definitely say that whomever the owner of Katz Jewelry is, he is running a pleasant shop. Perhaps it was the owner himself I was speaking to on my visit, perhaps not. Whoever he was, he was both cheerful and knowledgeable in his descriptions and analysis of his jewelry items. I was half expecting a pretentious reaction to my jewellery ignorance, but did not receive it here. I’d like to say I’ll come back on my next visit to New York City. Heck, I probably will if I make my way to this part of town again. 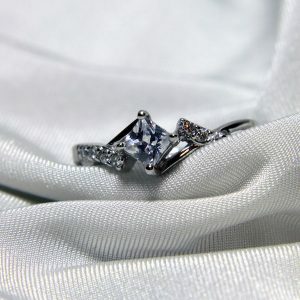 After leaving Katz, I feel like I had learned all I need to know about wedding jewelry and custom lab grown diamonds. I had the thought that I didn’t need to check out any further stores, as there was no question left unanswered. After it’s all said and done, with any subject, isn’t that the point of awareness that we seek to achieve? I think so. A whole street of jewelry stores, and still there are street vendors selling… JEWELRY!